Stamporama: Rare Stamps and Individual Retirement Accounts - Approved Investments? A friend and I were talking one afternoon about our plans for retirement and the types of investments we had made that would comfortably support us, hopefully, in our years of glorious non-employment. The discussion turned to Individual Retirement Accounts (IRAs) and our specific investment choices in those accounts. discomfort with the increasing volatility and unpredictability of the stock market. my investment strategy had surely always been strong with valuable, rare stamps. That I had not made such investments with my IRA totally puzzled him. but rather that it was not allowed." IRA owners will discover that they have considerable leeway for investment options given what is not specifically addressed by a government body or area of law. On the other hand, the definition of investment restrictions is relatively straightforward. 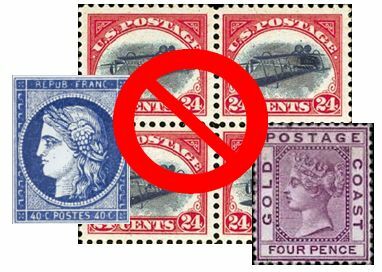 Any knowledgeable IRA manager – and your local stamp dealer – should never recommend the purchase of any philatelic item as an IRA investment option, regardless of the item’s current value or potential appreciation. The Internal Revenue Code (IRC) and tax Regulations are very clear that stamps are collectibles, and collectibles – with very few exceptions – are not allowed as IRA investments. specified by the Secretary for purposes of this subsection. How does the IRS enforce this prohibition? Through additional taxes and penalties. If you invest IRA funds in stamps, the IRS considers that activity a prohibited transaction and the dollar amount invested in the stamps is deemed as having been distributed from the IRA account to you. Such a distribution is ordinary taxable income to be included in the calculations on your tax return. And, to make matters worse, if you are under the age of 59½, you will have to pay a 10% premature distribution penalty tax. Are there any exceptions to the prohibited investments in stamps? The Revenue Code’s restriction of “any stamp” means just that. No exceptions. Irrespective of country of origin, scarcity, market value, PSE graded, etc., any and all stamps are collectibles prohibited as IRA investments. 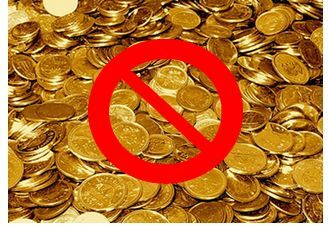 (ii) a coin issued under the laws of any State. Eagles and state commemorative coins. 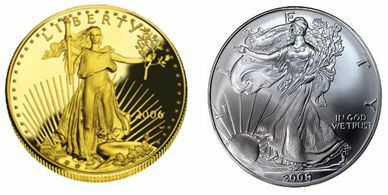 So why are coin collectors & investors, not stamp collectors, given preferential treatment and status by the IRS? The answer focuses on the fundamental purpose and character of IRAs. If the government, as the argument goes, is to encourage and support the accumulation of retirement savings and provide special tax deferred treatment for IRA investments, then it is obligated to strive to ensure that the investments have solid value and appreciation potential. Investment vehicles and items allowed for IRAs are created, sanctioned and professionally managed by formal governing bodies and regulated financial institutions subject to audit and strict accountabilities. This pleases the IRS. Unfortunately, philately cannot boast of such accepted, sanctioned governing bodies and Regulations. if even possible, to confirm you are paying a fair price for the item. In general, collectibles may be difficult or expensive to liquidate. The value of collectibles rises and falls sharply with the economy. What is considered valuable to one collector could be worth far less on the open market. Thus, the prohibition of stamps as IRA investments. As my friend and I were saying our goodbyes for the afternoon, he asked me just exactly which investment options had I selected for my IRA since philatelic items were not possible choices. portfolio and that I was looking into some new choices. collector, always a stamp collector,” I proudly said!